I've been an author since 2004. But for the first 8 years, it was always a side-hustle. After all, with a wife and 3 kids, I didn't think I could make a living as a full-time writer. Then in 2012, my friend Scott asked me if I could help him fulfill his dream of writing a book. After chatting further, he said he needed a ghostwriter. I didn't know the first thing about ghostwriting, and I certainly never planned on becoming one. All I knew is my friend needed help, and so I jumped in headfirst. Besides helping Scott write a compelling book, that same year I also left my day job. If you guessed those two events are related, you’re right. In a way, you could say that ghostwriting helped me turn my dream into a full-time gig. That first gig turned into a second and then a third. Initially, I was surprised at how lucrative ghostwriting can be. The rates below are considered the "industry standard." The Professional Writer’s Association of Canada provides clear guidelines for ghostwriters: $10,000 to $50,000 flat fee entire advance + 50% of royalties. And even if you’re not Canadian, The Writer’s Union of Canada establishes a great baseline for ghostwriters everywhere: For a book of 60,000 to 90,000 words, the Union recommends a total minimum fee of $40,000. Naturally, this variance is based upon several factors including: experience, competence, length of manuscript, deadline of project, etc. Many Traditional Publishing Houses admit that about 70% of their books were written by ghostwriters. Even crazier, nearly 99% of all books published by artists, celebrities, and politicians were ghostwritten. Throughout history, there may have been a stigma with ghostwriting in some circles. But today it's much different. Many ghostwriters are proudly displayed on the front cover or in the acknowledgments. They produce a better book. They save their clients time. Today, I don’t ghostwrite any longer because my current business focus doesn’t offer me the bandwidth. After all, in 2014 I started a publishing company: Author Academy Elite. 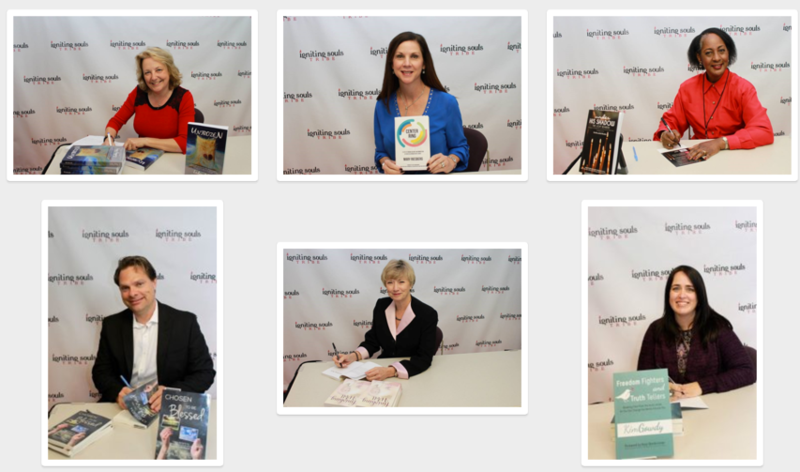 We’ve published hundreds and hundreds of books from authors around the world. I’ve had a vision to train up a guild of ghostwriters. Until now, I haven’t had the margin to do so. But within the last year, after turning down several potential books inside Author Academy Elite due to a lack of ghostwriters, I realized we couldn’t delay any longer. I knew that many writers, editors, and ghostwriters would join Ghostwriter Academy and start their own businesses or level up their current ones. This is all part of the plan. Whether you get your gigs on your own or through The Guild, I believe in abundance. After all, if 82% of the population wants to write a book, then the world needs high quality ghostwriters defined by clarity, competence, and confidence. An 86-page interactive guidebook chock-full of resources. This is the proven process I used to go pro. 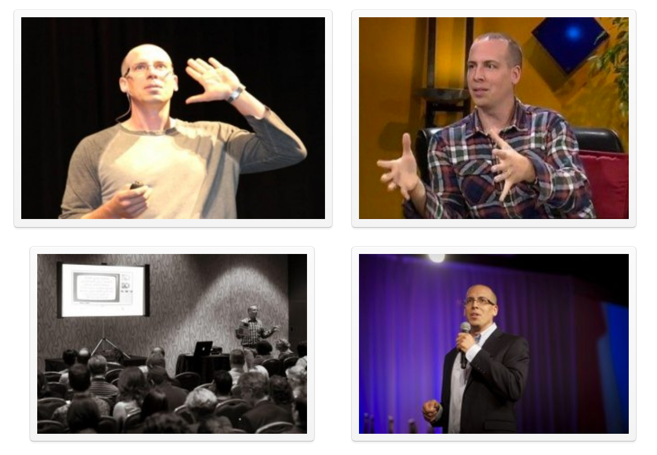 Benefit from 7 Masterclass modules comprised of 29 videos, each designed to be clear, concise, and direct. Leverage these "forever access" tools and tactics in your own ghostwriting business. The ghostwriting industry has shifted over the last few years, and you need to cash in on these changes. Dive into this curated content via hand-selected articles and websites. Turning your passion into a profession means looking professional. Utilize these contracts and checklists within your own ghostwriting gigs. Much of the business world runs on relationships. Enjoy lifetime membership to our global community of generous collaborators. Upon completion of the modules, you will receive a professional level certification, declaring you as a successful graduate of Ghostwriter Academy. A course that encompasses both skill, marketing, and personal development! Ghostwriter Academy takes you toward a new career path and helps you look at the road from many angles. Skill, Marketing, Personal Evaluation, Past, Present, and Future. It prepares you mentally and professionally to take your first client. I am thankful for the opportunity to be included in this rising community. This is one of the most comprehensive courses I've taken. This course gives the big picture...not only "how to do" but "how to think"....then "how to market" and "how to charge". This Ghostwriter Academy will indeed give you the tools you need to turn your passion into a profession. I downloaded and printed the entire Ghostwriter Guidebook so I could work on it, in and out of the office...even if my laptop wasn't in front of me. As for me, this course is a "must have". I really enjoyed Ghostwriting Academy because the clarity and framework is very beneficial to me, a new author. My first gig will be writing my father's story for all of his grandchildren for a Christmas gift. He has been the only living grandparent they have known, so it is important to keep his legacy going. I know how much I and my siblings enjoy hearing how my father grew up, met our mother, and helped raise us. Our children will enjoy reading these same stories about their grandfather and pass them on to their children. Thank you, Kary, for this wonderful opportunity! I highly recommend Ghostwriter Academy to other new authors. I started this course knowing that I could write a book because I've now written two. But my big question was, "Could I write someone else's book?" The answer to that question is "yes!" As I completed the course modules, I realized that I am a storyteller who loves other people's stories. Thanks for the clarity! Really great insight into the world of Ghostwriting mixed with some great inspirational talk to help keep you motivated. Exceptionally well done and very informative! Thank you for all of the new tools I am armed with now! Ghostwriter Academy is a solid program that provides clarity and a framework for anyone wanting to launch a behind-the-scenes writing career. It's a great compliment to Author Academy Elite and publishing your own works. The Guild is a priceless addition and opportunity to get connected, not only with other authors, but those seriously interested in hiring a ghostwriter. It has not only set me up well in my career path, but also added value in my personal growth! The Ghostwriter Academy is a must for anyone passionate about writing. Created and designed by Kary Oberbrunner using his signature teaching style, this solid, up-to-date course will walk you through the process of becoming a highly qualified and sought-after ghostwriter. The modules act as your own private teacher, and the guidebook is packed with value. - Nanette O’Neal, author of A Doorway Back to Forever book series and founder of Beyond the Doorway online training program. PAST: You are your business, so stop hiding your story. As the adage goes, people buy from those they know, like, and trust. Until you learn and leverage your creation story, you'll feel stuck and stagnant. "Sticky" brands have sticky stories. Package your past struggle with your present solution so you can design a new future for your eventual clients. PRESENT: The truth is that until you see yourself as a ghostwriter, no one else will either. It starts with an internal identity. Soon after, it seeps into an external reality. Ghostwriter Academy is designed to help you turn your passion into a profession. Whether ghostwriting is your side-hustle or your main gig, fortifying your WHY will help you clarify your WAY. FUTURE: You’ve probably heard that envisioning your future and goal achievement are interrelated. Sometimes it’s called beginning with the end in mind. Other times, it’s called moonshot thinking. If you want to turn your passion into a profession, then you need to fill in some blanks. What new reality do you want to create? 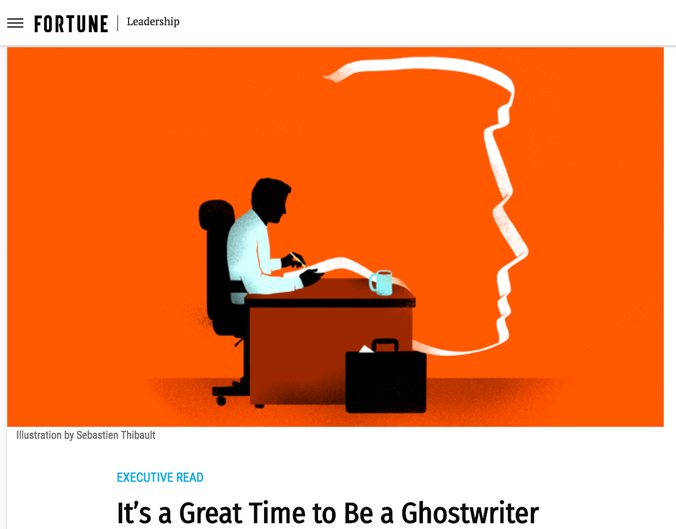 TIME: Before you can develop a thriving business, you must understand why the world needs ghostwriters. Simply put, ghostwriters save their clients time. Many clients are too busy to take time away from their careers, businesses, and lives to write a book. SKILL: Ghostwriters bring a unique skill-set to their clients. Many clients think they can write, until they try. Not everyone can write, nor should they try. About 99% of politicians, celebrities, and musicians use ghostwriters to write their books. Many traditional publishers state that around 70% of all their books are written by collaborators and ghostwriters. MONEY: Ghostwriters bring value to their clients because they save them time, and everybody knows that time is money. Many clients would lose money by spending their limited time trying to write a book. GHOSTS: Most nonfiction books solve problems—even oftentimes memoirs. In other words, they offer solutions. A framework is a solution broken down into simple steps. All three books I ghostwrote contain frameworks. It’s an effective way to write because it helps your reader see and feel an intentional beginning, middle, and end. GIGS: It’s important to know the different terms that apply to “writers for hire.” Most clients who need help don’t know the correct terminology. They may think they need a copyeditor when they truly need a developmental editor—or even a ghostwriter who collaborates with them. Clarity comes once you know how the gigs differ and where you fit in. GUILDS: A guild is an association of artisans or merchants who oversee the practice of their craft in a particular town. Guilds were first organized in the late Roman Empire and rose in popularity during the Medieval period. Naturally, guilds benefit their members if managed properly. Discover which guilds are helpful, which are harmful, and most importantly why. RATES: Many ghostwriters simply don’t know what to charge. The rate for ghostwriters varies quite a bit. This variance is based upon several factors including: experience, competence, length of manuscript, deadline of project, etc. Learning the formula will help you charge with confidence. RULES: Without the proper guidelines you could make a big mistake. The right rules protect you and your client. Get forever access to the proper intake forms, release forms, and sample contracts to help you turn your passion into a profession. RISKS: Savvy business owners mitigate risks by taking the proper precautions. By completing our checklist, you'll set yourself up for success. CONSULTATION: Too many ghostwriters don't set clear expectations or boundaries with their clients. As a result, they end up working for far less than their worth. By integrating our system, you'll end up creating value for your clients while getting paid. COLLABORATION: Most of us with something to say or sell would benefit if we had a bigger platform. We try partnering with top leaders, hoping to give our message the exposure it needs. Why do some people break through while most are blown off? Discover how to change the pattern by following nine steps for gaining favor with influencers. CREATION: You’ll need to find your own voice as you write your client’s story. Think of this process as a delicate dance. How do you maintain your own freedom, while respecting their message? In this module you'll discover a model and a metaphor to help you achieve both. INWARD: Most ghostwriters struggle getting gigs because of one fatal flaw. Discover how to secure more ghostwriting gigs than you can handle. This strategy enabled me to get all my gigs without even asking. OUTWARD: Each of us have limited time and so we must make our time count. Looking in the wrong places for gigs will drain your energy and creativity. Isn't it time you learned how to look and who to look for? We'll show you where to find quality leads when looking outward. DOWNWARD: Anyone with something to say or sell needs a bigger platform. As a ghostwriter, this works to your advantage. There's no better platform than a well written, published, and marketed book. With 82% of the population aspiring to be authors, if you know the right steps, you can land the right gigs. PAST: Many times, we can see everybody else’s gifts and talents, but not our own. Yet—if we take a moment to list all of our experiences, skills, and hobbies—we’ll often be surprised by the assets we can bring to our potential clients. PRESENT: When I was trying to go pro with my passion, I had a choice. I could wait until I got clients before I gave myself a title, or I could give myself a title and then get clients. Some people ignorantly label this a "fake-it-till-you-make-it" tactic. I disagree. There was no pretending for me. Rather, I made an internal commitment before I experienced external validation. FUTURE: You’ve grown into a new person. Your role as a ghostwriter will literally change people’s lives. You serve as the bridge between authors and their audiences, and without your skills their stories would remain untold. This special invitation is only for our Ghostwriter Academy graduates. These certified ghostwriters are the only ones qualified to join The Guild. Kary struggled finding his own distinct voice and passion. As a young man, he suffered from severe stuttering, depression, and self-injury. Today a transformed man, Kary invests his time in helping others experience unhackability in work and life. Kary's writing career spans 15 years and counting. 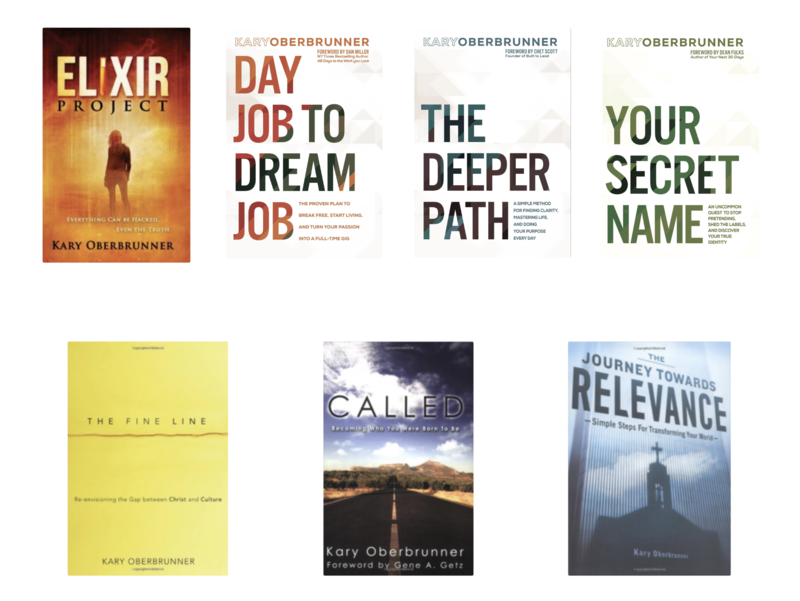 He is a 6-time traditionally published non-fiction author (The Journey Towards Relevance, Called, The Fine Line, Your Secret Name, The Deeper Path, Day Job to Dream Job) as well as a fiction author (Elixir Project). He has ghostwritten three books, published over 400 books through his publishing company, Author Academy Elite (AAE), and has trained over 60,000 authors through online education. He is the founder of Redeem the Day, which serves the business community, and Igniting Souls, which serves the nonprofit community. He and his wife, Kelly, are blessed with three amazing children and live outside Columbus, Ohio. Besides teaching you the skill of ghostwriting, I'll also show you the business side of ghostwriting, too—including lead generation, marketing, contracts, collaboration, and much more. Over the last 15 years, I've helped hundreds of entrepreneurs - in nearly every industry - start, scale, and level up their businesses.